For all the things I totally stink at, I can at least write! I’ve been a professional writer for about a decade. I’ve published over 1,000 monetized articles online. A good chunk of those made money for me (and even more, I’m sorry to say, made money for other people!). I also worked at a global consulting firm, where I worked on content teams writing all sorts of stuff for some of the biggest brands in the world. We’re talking 7-figure content contracts here. Those are high stakes, man, and if you’re not writing stuff that moves people to action, you aren’t doing your job. When I started applying those techniques to niche sites, learned a really valuable lesson: great content doesn’t just attract links; it seriously boosts both engagement and conversion. With my first niche site, aPennyShaved, 40-50% of my overall traffic clicked affiliate links, and some pages had conversion rates that were even higher—up to 70%. I was also generating shares, comments, likes and tweets. And really, a lot of sites do that, but keep this in mind: my site was small, monetized niche site with affiliate products on every page. Engaging an audience with that type of site ain’t easy, my friends. I’m not trying to brag here. Just saying… writing’s my thing. And I wanted to give you guys a small guide for writing killer content that engages and converts. Really, Perrin? Why should I be THIS worried about content? Here’s the business case for great content. Whether you’re outsourcing your content or writing it yourself, getting highly engaging content on your site is one of the highest-value activities for any business. It’s probably a lot more important than a lot of the things you’re already spending time on. 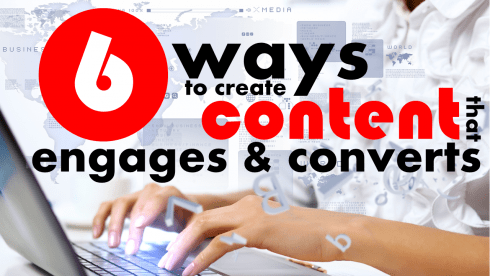 Most of the time, amazing content that converts visitors into customers will be much, much more valuable than any link, Facebook post, or tweet. Think of it this way: It’s much more valuable to convert 40% of 100 visitors than it is to convert 5% of 500 visitors. And because it’s much easier get 100 visitors than it is to get 500, great content can drastically strengthen your bottom line, especially at the early stages of a business. In other words, writing A+ content is one of the best ways to boost your revenue per visitor. I really can’t stress this enough. I see lots of sites from lots of Niche Pursuits readers. A good chunk of these sites have great traffic but aren’t making much money. With these sites, it’s almost always the case that the content—in some form or another—just isn’t up to par. Bad content is one of the most common reasons sites stagnate. So let’s make a long story short here. If you have great content, you’ll convert a lot more visitors, and you’ll probably build a loyal audience at the same time. If you have bad content, people will run away from your site and never come back. Easy choice, eh? I’m going to dig into each of these (and more) in detail below, but if you’re a little impatient, and you’re itching to create some stellar articles, here’s a quick checklist you can use. That’s a super quick and dirty version. Feel free to bookmark this page, so you can pull up that list the next time you (or your writers) sit down to draft an article. Let’s dive into some of these. LESSON 1: Your content (and website) should look clean and well-designed. When Niche Pursuits changed its site design, our conversions increased by almost 200%. Seriously. It bums me out so hard when I see people skipping this. Some people just don’t care how their site looks. Don’t be one of them! I can’t tell you how many niche sites I’ve seen with the default WordPress theme. I’ve seen even more with green and purple color schemes. I really want you to take this seriously. If you have an ugly theme, a crappy header from Fiverr, a wackadoo color scheme, a logo done in Microsoft Paint, and a layout that doesn’t make sense… your site might just be ugly. And, while you might make some money, you probably won’t be making the heaps we all dream about. Unbecoming sites are hard to scale. Why? Same reason as above: people don’t trust ugly sites. Here’s why it bums me out so hard: there’s just no excuse to have an ugly website in 2014. Buying a premium theme from ThemeForrest is only $47. Buying an entire suite of incredible, beautiful themes from ThriveThemes is only $120 per year. So even if you don’t have any design expertise, please… either buy a good theme or turn your site over to a qualified Web designer. Nice, huh? These weren’t one-off designs done for some big brand. You can just go buy them right here. There’s no excuse NOT to have a professional site! LESSON 2: Your content should be highly skimmable and formatted for readers with short attention spans. As much as I love to think that there are a bunch of people coming to my blog to read my fantastic writing, it’s just not the case. Well, some do. But most don’t. That’s typically not how internet searchers work (depending on the market of course; some audiences love to read all the juicy details). Most people, when searching for something in Google, are looking for something. When they find it, they’ll click to the next thing and move on. My writing is very low on the list of things they care about. That’s not to say that the actual writing isn’t important; it is. The point is that you have to be speedy about giving searchers what they want. You do that by making content skimmable. What does “skimmable” look like? Here’s how I do it. Skimmable content has a top-down structure with important information up top. If you’ve ever read a newspaper or taken a journalism class, you’ll know the structure I’m talking about. When you read news pieces at major publications, the most important point of the story is in the first paragraph. You don’t usually need to go that far, but you should definitely be putting your main point in the introduction. Is your article about using yoga to combat insomnia? Then in the first few paragraphs, you should at some point say something like, “Doing yoga for a long time both exhausts you and releases melatonin, which can help you sleep” (I have no idea if that’s true; this is just an example). In the article you’re reading right now, I do that in the fourth paragraph, when I say, “great content doesn’t just attract links; it seriously boost both engagement and conversion.” Shortly after (and also near the top), I also provide a checklist for people who don’t want to read this monster. Skimmable content should tell a story in its headings. When most people skim an article, they’re going to be looking almost entirely at the headings. Then, if they find a heading that catches their eye, they’ll stop and read that section in more detail. Obviously, for this reason, you need your headings to make sense. Beyond that, though, it’s good if your headings actually tell the story of your article. I don’t mean this literally. Like, if someone were to only read your headings, they would make a literal miniature story. Not like that. I meant that people should be able to follow your thought process only by reading your headings. So, as a general rule, I like to make my headings full sentences. You don’t have to, but I usually feel like it creates a better feeling of movement for people reading through an article—and even more of a sense of movement for people skimming it. Skimmable content has lots of breaks. Readers on the Web have short attention spans, and you have to work around that. The good news is that this is really easy to do. In fact, there are basically three things to keep in mind here. First, you want to keep most of your sentences short. You don’t want them all to be short, or you’ll end up sounding like a robot. But you want about two thirds of them to be on the sort side. If possible, it’s a good idea to break content up with visual elements (more on this below). Not only does it help a reader skim, but it also makes your content feel about a thousand times more interesting. Finally, you want your paragraphs to be short. This is probably the most important one of the group, since some markets aren’t conducive to lots of images, and some markets require detailed, technical sentences. Paragraph length can make up for that. As a general rule, keep them under 5 lines. You can also add tiny one-sentence paragraphs for emphasis. Here’s a good example of all this stuff: I’ve always approached formatting from a best-practices standpoint, and these are habits I developed over 10 years of writing for the Web. I’ve never specifically tested formatting and skimmability, though. If you want to see how drastically formatting can increase the value of a page, go read Gael Breton’s post about formatting on Authority Hacker. He increased the traffic to his page by a whopping 9,275% only by reformatting it. LESSON 3: Your tone should be casual, friendly and personal. This is one of the reasons content services aren’t worth it. It’s very difficult to achieve a truly personal tone unless you (or a great, dedicated writer) are writing the content. It’s also why you should spend time and money hiring a great writer. And I’ve had plenty of arguments about this. Some people think that different markets require different types of writing. For example, say your site is about plumbing supplies. Don’t you just want to give the facts and get out of there? Who cares how personal your tone is? In my experience, it absolutely does not matter what you’re talking about. It does not matter what you’re selling. It does not matter how much jargon your audience uses. Someone talking to you like a friend is always going to be more engaging. I’d rather read a blog about plumbing supplies written by a funny plumber who comes across as genuine, friendly and trustworthy than a plumbing supplies blog written by a faceless, generic Fiverr writer. Wouldn’t you? This is just sales, guys. It’s building rapport. It’s empathy. It’s showing your audience there’s a human back here behind the curtain. Plus, you’ll have a lot more fun writing this way. Lots of the bloggers you probably already read are doing this, but if you want to see a really amazing example of impeccable tone, read Mr. Money Mustache’s blog. He takes something typically “boring” and makes it an absolute riot to read. LESSON 4: Your writing should include strong, relevant, interesting visual elements—and especially calls to action. Visual elements are one of the most important elements in any blog post. Even in markets in which visual elements don’t seem as important, you should be including them. For example, our new authority site is in an extremely information-heavy market. Lots of data. Lots of dense, technical sources. We still try to pop in a couple great visual elements. Why? First, great visual elements make you appear much more professional. Just a few elements instantly makes any blog post look like it’s been crafted with a lot more care than a text-only post—and this is especially true for elements that obviously took you time to create. It shows effort, and it makes you look like you do this for a living. Secondly, it drastically boost engagement and sends quality signals to google. Adding good visual elements improves all kinds of good metrics, but especially time-on-site and bounce rate. Usually, unless your site is already making tons of money, no one blog post is going to be important enough to hire a designer. So you should use whichever of these (1) makes sense for your blog and (2) is easy for you to find and create. For example, to create great featured images, just find buy a good stock image for a few bucks, pop it into PowerPoint, and add a few text boxes. For infographics, use a tool like Piktochart. For charts and graphs, either use Excel (Spencer’s favorite!) or find ones already created and credit the author. For stuff like content boxes, product tables, visual quotes and testimonials, I usually use Thrive Content Builder. It’s literally drag-and-drop, and you only need one plugin. If you're interested, the guys at Thrive set up a discount for Niche Pursuits readers here. Before moving on, I want to make a quick note about calls to action. There are lots of different types of calls to action, and I’ve seen plain old links work really well. However, most of my hyper-successful colleagues are using more visual calls to action, like those above. LESSON 5: A/B test the crap out of your pages—especially the profitable ones. Admittedly, this is something I’m just learning about, but it’s already proving to be extremely powerful. I started to think about this way back in the day, when I was first look at all the data I was collecting from aPennyShaved. I went into that project with all kinds of false assumptions. One small example was that images would produce more clicks than text links. In fact, that assumption was so ingrained into my thinking that I didn’t even consider testing it. I found out I was wrong totally by accident. I tested several different elements against each other and found what worked for my blog. And I ended up making a lot more money. I probably could have made a bunch more if I had realized the value of A/B testing basically everything on the page. We’re going to release a podcast with Jock from Digital Exits. Jock makes a living buying or selling high-end sites (hundreds of thousands—or even millions—of dollars). When we were talking to Jock about what he does to improve sites that are already highly profitable, his answer was pretty simple: testing and optimizing for conversions. In fact, he said that A/B testing and conversion optimizing is one of the highest-value activities you can do for any site. And that makes sense, right? A/B testing allows you to make more money without adding content, building links or increasing traffic. It’s a 100% in-house activity, and the ROI can be totally ridiculous. Again, I’ve seen some great success from my own testing, but I’m not even remotely an expert. So, like a good internet marketer, I’ll just steal from the experts for my own benefit! Here’s a list of best practices from Dan Siroker, CEO of Optimizely, after running 177,000 A/B tests. If you want to watch the video I stole this from, you can do so here. I highly recommend it. Usually, you want to be focusing your A/B testing on the most profitable pages. First, those pages probably have the most traffic, so you can test them faster and more efficiently. Second, it’s generally easy to build on something that’s already working than to figure out why something isn’t working. You’ll need some tools, of course. One easy tool is Optimizely. The major benefit of Optimizely is that it works for every site. It allows you total freedom in the testing phase, which can be very powerful. However, it’s $17 per month, and it doesn’t integrate with WordPress, since it’s mostly made for businesses who have in-house developers. If you want to test for free, I recommend using Thrive Content Builder in conjunction with Google Analytics Experiments. If you’re not sure how to do that, watch this video. LESSON 6: Be interesting at all costs. I know, I know… I make it sound so easy. But it’s easier said than done, right? What if you’re just selling plumbing supplies. You’re right. Being interesting is hard. And I’m not just saying that. It’s one of the things that takes the longest to develop as a professional writer. But there are ways to (1) inherently increase the interesting-ness of any piece of content and (2) test to see if the article you just wrote actually is interesting. Add data. Data is always interesting as long as you’re not heaping it on. How many of you perked up when I mentioned above that Niche Pursuits increased its conversion rate by nearly 200%? That’s the power of data. Whether it’s a super interesting snippet or a big chart, it’s hard to go wrong with data. Curate the opinion of experts. Odds are you’re not the foremost expert in blogging niche. None of us are. So go find those experts and quote them! Or link to their resources. Share their videos. Bringing in information from the best sources makes your article much more interesting. You can see I’ve done that a lot with this post. Use personal anecdotes. Even if you’re not a true experts, people love to hear how other people think about things. And that’s easiest to get across with personal anecdotes. Anecdotes are tiny, self-contained story-example hybrids. I’ve used those a lot in this post, too. See if you can find them. Asking great questions. Maybe you don’t have all the answers. Or maybe you only have some of the answers. You can be highly interesting if you ask a good question, especially if you ask your audience directly. Take a poll. Create a quiz. Ask for opinions. It’s definitely interesting. I’m just one guy, you know. There are plenty of people, especially in this audience, who have a lot more experience making money than I do. So chime in! What do you guys think? What are your favorite content strategies? I love this piece of advise on being interesting . . .
Two of my favorite authors are masters of harvesting previously generated content and book ending it with their own perspectives of it to make up each chapter of their books. The first author is Robert Greene of 48 Laws of Power, The Art of Seduction, 33 Strategies of War, and the book Tim Ferriss of 4 Hour Work Week fame helped to catapult to elite exposure, Mastery. His books consist of parables from all different ages, from all different corners or the world, from all different segments of society that he uses as teaching tales to support his theme on Power, Strategy, Mastery, etc. The stories are always entertaining and the lessons always serve as useful. The second author is a man by the name of David McRaney. He is the man who penned “You Are Not So Smart” and “You Are Now Less Dumb”. Both of these books are what David calls, “Celebrations of Self Delusion”. Each chapter is built around behavioral studies that have been conducted that prove the numerous ways we delude ourselves or are deluded by others . . . and are supplemented with actions we can take to . . . not be so dumb. Neither of these gentleman create from scratch the raw material that makes it possible to write their books. They curate content to help them make their points. And both are masterful at doing so and are worthy of watching and emulating. Good examples! I’ve read a few of those. Wow, now this is the in-depth, step by step guide I’ve been looking for! Seriously, the heat mapping is something I need to implement and experiment with in my own site (along with actually making really good content). Also, just got the “Performag” theme a few days ago and I have to say, it looks really good even if you don’t utilize much of the magazine features. Yep; I’m actually using Performag for one of my new sites. Just keep finding all the little features. The landing pages are pure gold, too. Great Advise! The heatmap method is interesting thanks! Thanks for the heads up. I didn’t know the emails had that sender id. I’m looking into why and how to revert back. Thanks! Great post Perrin. You are a great writer! That’s one of the things I’m really trying to work on in 2015 is my quality of content. I, like many people building niche sites started out just cranking out sub-par content with the hopes of making money. Only after months of this not working out as I had hoped, did I start to really focus on content quality. And something magical happened – that’s when my online income started to grow! T%hanks for the clear precise guide here – I know it’s going to help propel my writing even further and crush it even harder with all of my online business. I have tried the heatmap thing on Google Analytics but it doesn’t actually give a clear description about where people are actually clicking and moving towards, rather it gives us an overall idea about how visitors engage with the site and which portions of the site is more popular etc. So it is a good place to start but it would definitely help to get a better heatmap solution which gives detailed analytics. Little off topic I know… but I was wondering if Adsense bans IPs from previous banned account? I got banned from adense last year from clickbombing i believe and i have a new computer ever since but the still IP I believe from my cable company. I got my adsense account approved… do you think it is OK for me to login with my new computer but living in the same house with that IP? GREAT NEW WEBSITE BY THE WAY!!! I don’t know the answer for sure. However, I personally avoided using my “old” computer to login to my new adsense account for a long time for that very reason. However, I now login from my home computer and havent’ had any issues for over 2 years. So, answer unfortunately is that I don’t know for sure. This post is amazing! This is what I needed so long. I’m not a native english speaker so I’m not writing the content for my sites myself. But it is so hard to find a great writer who can create interesting, convertible and, perhaps, the epic content. I’m sending the link to this post to all my writers as a MUST-READ-AND-IMPLEMENT instruction. Thanks you so much, Perrin! 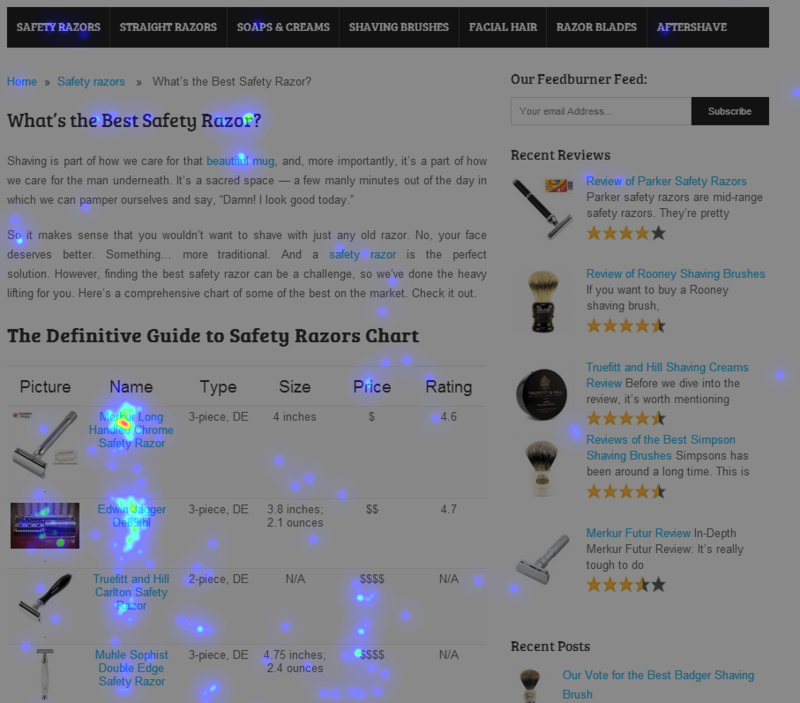 What heatmap software or plugin are you using or used for aPennyShaved? If it’s not free is there a good free version? It’s called Reinvigorate. I don’t use it anymore, but it’s fairly cheap. Your tips are greatly appreciated. 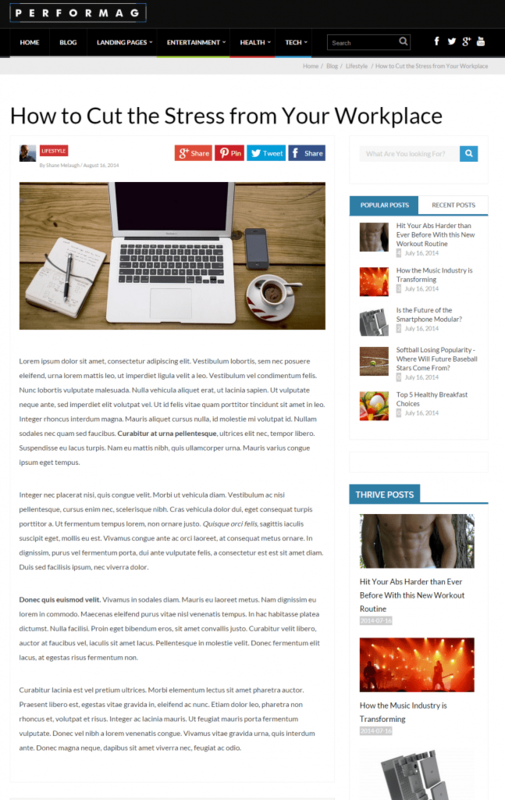 My past efforts at writing articles have the content ending up in a higgly piggly format. This advice will help me structure the content much more effectively and persuasively. Some other follow up questions I forgot to ask earlier. If you get the Thrive Themes do you get a copy of the Content Builder? And if so can you use that Content Builder on other premium themes you bought elsewhere or would you need to separately purchase the Content Builder to do that? One last thing. For more professional looking images, where do you suggest getting them? Yep. The themes include a copy of the content builder that actually has MORE features (e.g. being able to add “related posts” sections to any page). Not sure about the second question; I’ll ping Paul, the co-founder, to get an answer. For images; you can either find any old image and properly credit the creator (still slightly risky) or just buy cheap stock pics. Hello Larry – Perrin pinged me to answer this for you. If you become a member, you get access to the Content Builder and you can use that on any site that you choose – you’re not restricted to a Thrive Theme. The same is true if you only buy the Content Builder plugin without the membership. Great article and very enlightening. I would love to know if you’ve found a way to help people lean towards clicking on your affiliate links instead of your links to authoritative websites because I’m sure they won’t click on everything. …or they're in tables, or they're buttons, etc. Plain old links in the middle of paragraphs don't generate very many clicks. Also, make sure all your links are opening in a new tab/window so you don't totally lose that visitor. Great read. Very insightful. I can’t believe how high your click thru rates were with aPennyShaved. That is impressive. You could definitely take this content and turn into into a training program (like a Copyblogger). Keep it coming! Great info, I’d be happy to learn to use even 20% of it correctly. I have some niche sites that I monetize with amazon links and I never managed to get a higher conversion rate than 15-17%. And actually thought that’s not bad! You sum up most of what you need to know to be successful with more than just niche sites – writing online as a whole. How IS apennyshaved coming along after that manual penalty? Get it back up in google? aPennyShaved is still dead. I added 50,000 words of content across the whole site and disavowed all but 20 white hat domains with which I’d built personal relationships. Still denied. Great tips Perrin. The new direction you and Spencer have been going with the authority site and emphasis on content has inspired me to take a much stronger editorial approach as to what actually will be allowed to be published on my niche sites. As I go back through some of the older posts that receive hardly any traffic, its no wonder – the content is too weak. I’m going to be experimenting in the upcoming months with strengthening some of these older posts and see if I can’t earn myself some much needed traffic. However, you may be better off looking at your BEST pages, adding new and amazing content to them, and then A/B testing them a TON. That’s probably the best way to increase the revenue. Lots of great information here. I really enjoyed reading. I have question about header designs. You mentioned that purchasing a crappy fiverr header looks bad and I agree. Where can I find a decent graphic artist who can create a nice banner? How much should I expect to pay for a well crafted header? I recommend going with a designer you know and paying them to create a logo. If you don’t know one, shop around on oDesk etc. Just be sure to look at portfolios, so you can see their work before hand. Great post! I definitely need to change my theme for my website. Compared to the ones you gave as an example it looks bad. Good post. A lot of great info. AB Testing is a must for anyone running an online business. What sites do people recommend for outsourcing content production ? I’d like to write my won but it isn’t always practical to do so.